When eleven uvm undergrads in the course “Justice Studies” arrive for a weekly class meeting, they are required to leave their keys, cellphones, and other personal belongings at the door before walking through a metal detector under the watchful eye of a correctional officer. It isn’t part of an extreme measure to remove distractions from the classroom. It’s just part of the routine for the students taking the course with incarcerated people at the Women’s Chittenden Regional Correctional Facility in South Burlington. Opening doors, for UVM students and their counterparts in the prison, was the impetus for the course developed and taught by Kathy Fox, professor of sociology and director of the new UVM Liberal Arts in Prison Program. 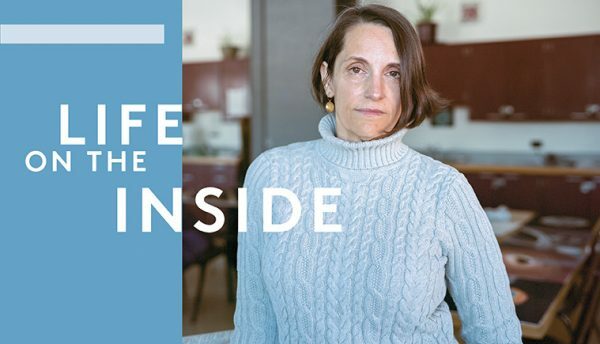 Spring semester 2017 was the first time in Vermont that undergrads and inmates took a course together on the “inside,” and it represented UVM’s entry into the renowned Consortium for the Liberal Arts in Prison established at Bard College. UVM is the first public institution and the first land grant university to join. Admittance to the consortium, and plans to begin offering for-credit courses to qualified incarcerated Vermonters beginning this spring comes after patient and persistent advocacy by Fox, who sees a liberal education as transformational in the lives of individual students and society at large. This semester UVM is teaching an introductory sociology course to men in the Northwest State Correctional Facility in Swanton and a course on mythology for female inmates in South Burlington.